Building and commercial property development represents a core business of the Company. 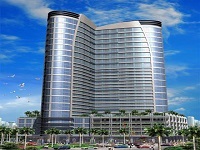 EEI is considered to be a leader in the construction of high-rise office buildings, condominiums, hotel service apartments, mixed-use commercial developments, industrial parks, factory buildings, educational institutions, hospitals, and government facilities and has the distinction of having constructed some of Metro Manila's landmark edifices. The Company has built up its competence in property and building construction as a result of its leadership and continues to expand its expertise. It has forged partnerships with global players to acquire cutting edge technologies and best management practices in high-rise engineering and construction. 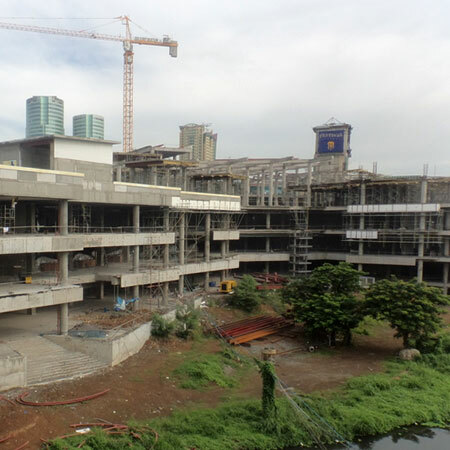 The Festival Supermall Expansion Project, owned by Filinvest Land Incorporated is located at Civic Prime, Filinvest Corporate City, Alabang, Muntinlupa. EEI will be doing the structural works for the east and west wings of the new structure. 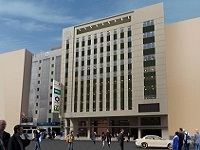 The west wing, adjacent to the existing mall, is composed of 5 floors with a floor area of 21,854 square meters. The east wing is composed of 4 floors with a floor area of 16,983 square meters. The Ore Square Project, owned by Monte De Tesoro Corporation, is located at 31st Street corner 9th Avenue at Fort Bonifacio, Taguig City. 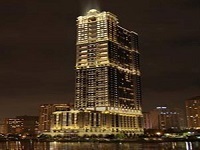 It has a total floor area of 68,170 square meters. EEI is doing the civil, structural, and architectural works. Construction began on July, 2014 and will be completed within 24 months. Yhe Enrique T. Yuchengco (ETY) Building owned by Enrique T. Yuchengco, Inc. is located at 484 Quintin Paredes Street, Binondo, Manila. It consists of 12 floors and a roof deck. The ground floor and second floor will be used for banks and offices, the third to sixth floor for parking, and the seventh to eleventh floors for office spaces. 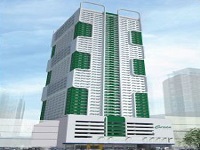 SMDC’s Green Residences is a 50-storey high residential condominium building set right beside De La Salle University along Taft Avenue, Manila. 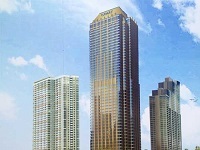 The Grand Hyatt, owned by Bonifacio Landmark Realty and Development Corporation, is a 66-story tower composed of 32 levels for office space, 14 levels for hotel rooms, and 350 residential units, and a podium for high-end retail establishments. 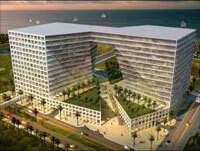 EEI was in charge of the general construction works and architectural works of the superstructure. Admiral Realty Company Inc.'s / Anchor Land Holdings' Admiral Bay Suites is a 53-storey luxury residential condominium and commercial building located beside the Admiral Hotel at Aldecoa Street corner M.H. del Pilar Street. As the general contractor, EEI covered the site works, structural works, architectural works, MEPF embeds, attendance to special contractors, and supply of provisional works. 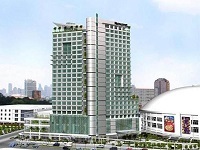 The Novotel Manila - Araneta Center Hotel, a joint venture between Araneta Center Hotel, Inc. and ACCOR, is a 25-storey building with 5-star amenities located at the heart of Araneta Center in Cubao, Quezon City. It offers 415 suite rooms along with a world-class all-day dining restaurant, a ballroom, a cascading pool, and an event garden. Eastwood Le Grand III is a high-end residential project of Megaworld Corporation located at the Commerce Road and Palm Tree Avenue, Eastwood City, Quezon City. The building consists of a three-level basement, five-level podium, and thirty levels of residential units, and seven-level loft units. After the completion of the SM Two E-Commerce Center, EEI constructed the SM Five E-Commerce Center Project of SM Land, Inc. 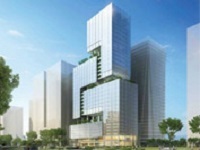 The project is the third installment of a four-structure business hub. It consists of 16 floor levels - a basement, ground floor (retail area), two parking levels, a podium level, and eleven commercial floors. Owned by SM Land Incorporated and located at the SM Mall of Asia Complex, SM Two E-com Center is composed of two towers, each rising to 15 floors connected by a bridge way at the 13th, 14th, and 15th floors. The structure features a four-level podium and provides commercial and retail areas, spacious indoor parking, and a landscaped garden. The total floor area is 92,911 square meters and stands 61 meters above ground. 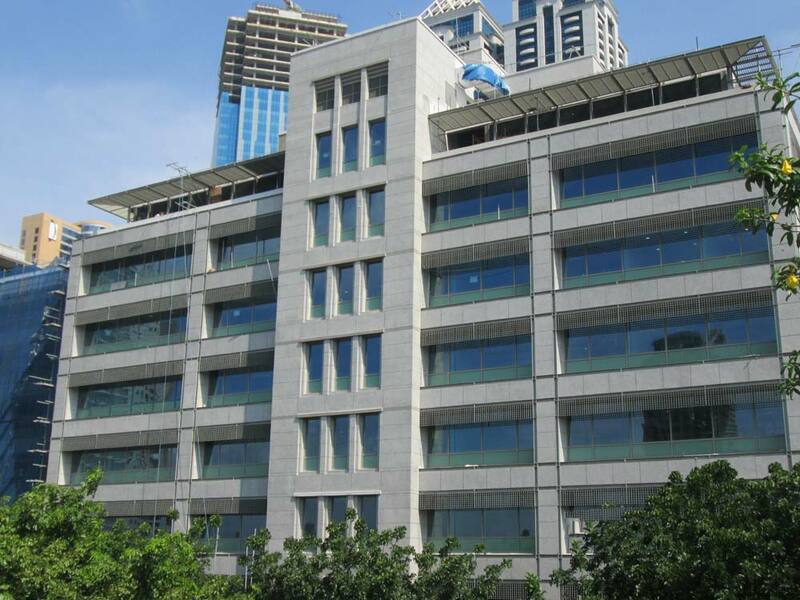 EEI constructed the Third Atrium to expand the Asian Development Bank (ADB) Headquarters Building along ADB Avenue in Mandaluyong City. It is a 9-storey office with a roof deck with a floor area of 3,400 square meters. The existing ADB office complex was certified LEED Gold by U.S. Green Building Council in 2011. The Third Atrium, an extension of the existing first and second atria which are used as office buildings, is targeted to have the same LEED gold certification. The RCBC Savings Bank Corporate Center, one of the several high rise buildings located in Bonifacio Global City, is a 34-storey office building with a height of 145.50 meters from the ground floor to the mechanical deck, with a three-level basement and eight-level podium. 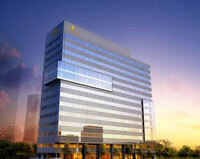 The Sunlife Project is EEI's first LEED building construction and one of the first LEED Gold Pre-Certified Buildings by the US Green Building Council. It uses a green roof system which absorbs rainwater, provides insulation and helps lower urban air temperatures. The building also uses a 100% back-up power, an Automated Security System, and a Building Management System. 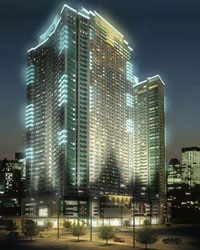 The project, located at Fort Bonifacio Global City, is a 14-storey medium density building with five-basement levels. This development by The Shang Grand Tower Corp. located in Mandaluyong City is composed of two towers, each rising to 60 floors with a 9-level common podium, providing a total of 1,200 units. The towers stand at 212 meters above ground and is claimed to be the tallest twin towers and the tallest residential high rise buildings in the country today. Each building has dampers located at the 34th and 35th floors to minimize the lateral movement on the upper floors due to earthquake, which is another first in the Philippines. This undertaking was completed in 2009. This project is composed of two tower structures namely the 46-storey RCBC Plaza Yuchengco Tower and the 41-storey RCBC Plaza Tower II. These towers, completed in 2001, are considered as Intelligent Buildings as these feature a fiber-optic telecommunication backbone, fire protection system with sprinklers, smoke detectors, pressurized stairwells, and a state-of-the-art invisible security system. 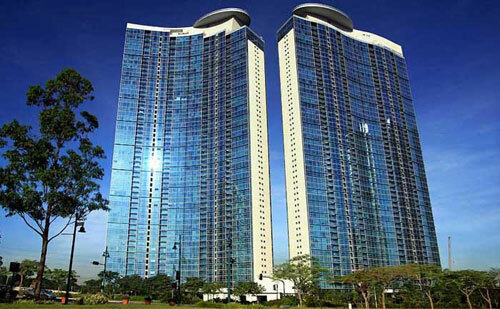 Located in Fort Bonifacio Global City, this prime residential condominium development is composed of two 56-storey towers. 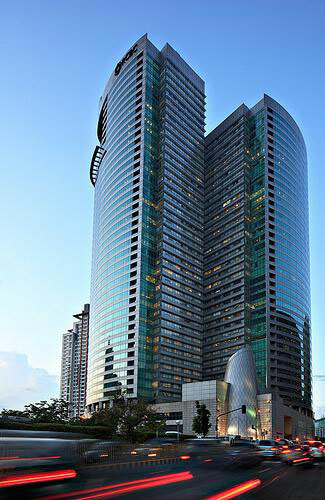 This landmark project, completed in 2001, was one of the first completed buildings in Bonifacio Global City. 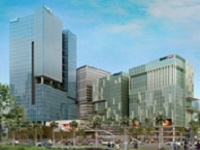 The Uptown Mall and Business Process Outsourcing (BPO) Offices are located at Bonifacio North, Bonifacio Global City. 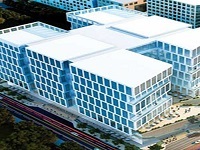 The project consists of a mall and two BPO Towers and has a gross floor area of 250,000 square meters. The project is pre-certified by the Building for Ecologically Responsive Design Excellence (BERDE) Program, the Philippines' version of a green building rating system. 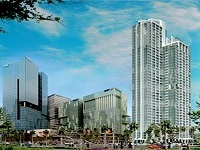 EEI was also contracted to construct Megaworld Corporation’s Uptown Towers 3 and 4. With a gross floor area of 44,246 square meters, Tower 3 is composed of 20 BPO levels, a roof deck and a machine room level while Tower 4, with a gross floor area of 54,451 square meters, is composed of 25 BPO levels, a roof deck, and one machine room level as well. 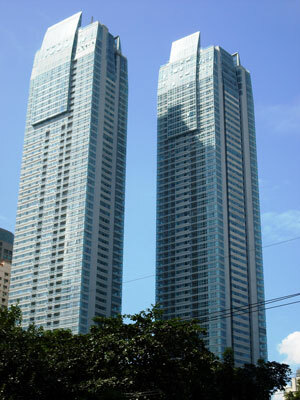 The Beacon Towers 1 and 2, owned by New Pacific Resources Management, Inc. (NPRMI) or Geostate Development Corporation (GDC), are located at Arnaiz Avenue, corner Chino Roces, Pasong Tamo, Makati City. EEI scope of work for the project included the civil, structural, and architectural packages, and the supervision of the electrical and auxiliary systems, sanitary, plumbing, fire protection works, and mechanical works.